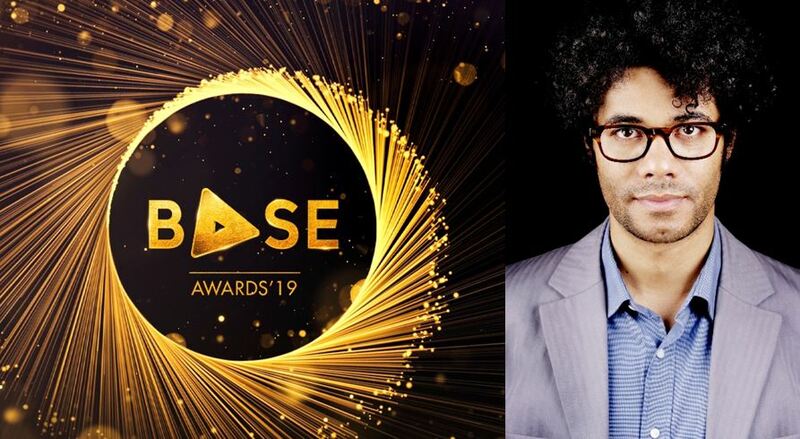 The British Association for Screen Entertainment has today announced that the multi-award winning comedian, actor, writer and director, Richard Ayoade, will host this year’s BASE Awards, with the industry event of the year once again taking place at Tobacco Dock on Thursday 6th June, 2019. Entry forms are now available here. The critically acclaimed writer and director of Submarine and The Double (both distributed by StudioCanal in the UK), Ayoade will also be known to many for his BAFTA Award-winning performances as Moss in Channel 4’s The IT Crowd and as Dean Learner in cult classic, Garth Marenghi’s Dark Place. More recently, he has fronted the revival of The Crystal Maze for Channel 4 and travelled the globe with an array of celebrity companions for the channel’s popular Travel Man series. With a CV that also includes The Mighty Boosh, Nathan Barley, Noel Fielding’s Luxury Comedy and regular comedy panel show appearances, Ayoade’s enigmatic wit promises to be the perfect addition to the BASE Awards this summer. Building on last year’s awards category refresh to recognise and reward creativity and innovation, the 2019 BASE Awards will include a new addition to the Campaign of the Year for Film category, capping the existing £15m+ box office award at £24.99m, and introducing a separate award for films that achieved £25m+ theatrically. It has also been confirmed that the PR and Publicity Initiative of the Year award will be open to agencies as well as distributors. Echoing the process for Supplier of the Year, entrants will need to have their entry verified by their client in order to submit. Entry forms are now available to download from the BASE website (https://baseorg.uk/base-awards-2019/) and must be returned to BASE by close of play on Friday, 15th February. In order to minimise the time and resources required to prepare the full submission decks, this year sees the introduction of a simplified submission form, due for receipt by close of play on Friday, 1st March.